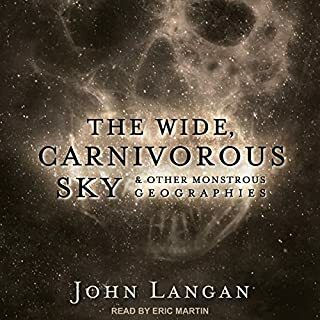 A brilliant mixture of paranoia and Lovecraftian horror from one of today's most decorated and well-respected authors of horror/dark fantasy. When his father disappears, Gavin Meadows’ search uncovers a race of semi-human beings that have existed in—and under—the city for centuries. 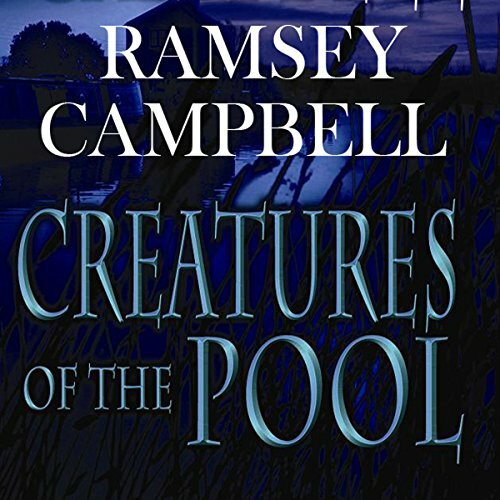 ©2010 Ramsey Campbell (P)2010 Audio Realms, Inc.
Would you try another book from Ramsey Campbell and/or Andy Rowe? 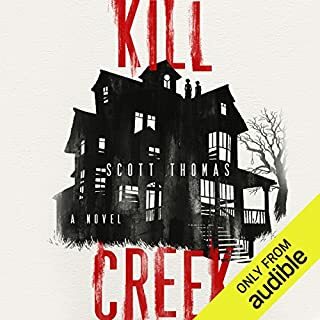 If you’ve listened to books by Ramsey Campbell before, how does this one compare? What three words best describe Andy Rowe’s performance? Frankly, a little grating. He has a rather annoying way of over-enunciating. Was Creatures of the Pool worth the listening time? No, it really wasn't. The premise was good. I liked the initial set up of the characters. But writer uses the very frustrating ploy of making the protagonist inexplicably oblivious to the very uncanny things he starts to see. And frankly, it's a narrative device I haven't got a lot of patience for. I actually usually have no problem with a rich story that develops slowly. However, this didn't have enough substance to justify the 10 hours of listening. The plot moves at a glacial pace and there just isn't any excuse for it. 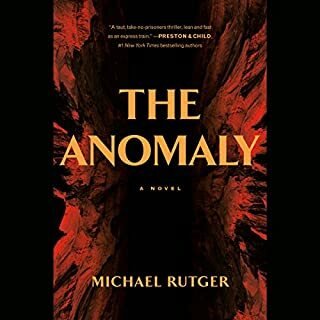 Plus although he's a competent writer, it is not as if he's literary enough to engage you with the beauty of the language while he moves glacially through the plot. It probably would have made a very good long short story or a novella. I've noticed a lot of this particular problem recently. Either writers or editors or publishers who allow a small story to stretch out into a very long book. What could Ramsey Campbell have done to make this a more enjoyable book for you? Could not make head or tail of this story - perhaps better character description. What didn’t you like about Andy Rowe’s performance? Could not understand a word - talks too fast. Accent is too broad for a universal audience. If you could play editor, what scene or scenes would you have cut from Creatures of the Pool? As the storyline remains a mystery - I have no idea. What would have made Creatures of the Pool better? I think if there was more true fear and paranoia, and less daily irritation. The hero spends most of the novel being worked up and pissed off, and not enough being truly afraid. 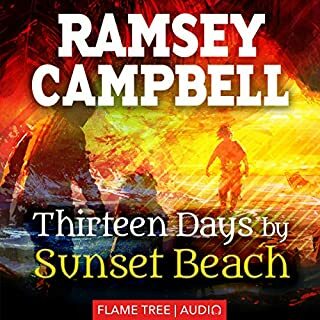 Would you ever listen to anything by Ramsey Campbell again? I'm not sure I'd like to visit his works again. If you've ever read the "How many male novelists does it take to change a light bulb?" series, he gives off a very strong vibe like that. Which character – as performed by Andy Rowe – was your favorite? I think he delivered the cruel police duo with a very vivid voicing and small-minded suspiciousness. Really, frustration was the biggest reaction. I nearly got halfway through it, but I kept having to stop. There were hints of horror, but mostly it was a very well-crafted literary delve into the feeling of being at the DMV on a bad day. The author can evoke some good images, but I think he hits the "water imagery" too heavily here. Monotone delivery makes for confusing dialog.. 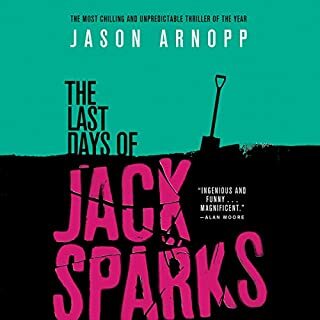 I have read some Ramsey Campbell before and I find the story ideas interesting, but his characters do tend to very "unlikely" in both behavior and conversation. Making it worse in this case, the story was very conversation heavy, often with three or more people sharing a conversation, and this proved far beyond the narrative abilities of Mr. Rowe who's indication of character change in speech consisted mainly of changing the pace of his speech, never the intonation. Would you recommend Creatures of the Pool to your friends? Why or why not? 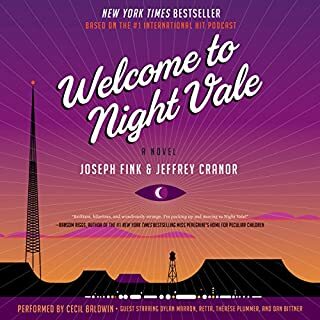 No, the audio version is just too hard to follow, and the book itself features character whose decision making skills are so obviously impaired it's hard to identify with them in any real way. His tone never changed from narration, to dialog - let alone among characters in a dialog. What character would you cut from Creatures of the Pool? The main character, his family, friends, and everyone else who were supposed to be "ordinary people", all of whom made some of the most bizarrely stupid choices that could be conceived of. In a story about magical creatures that have haunted the underground areas of London since time immemorial, I shouldn't be using up my "suspension of disbelief" on the day to day choices of the main characters. I've read a lot by Ramsey Campbell but this was just not very good. Very slow story and nothing much happens at all. Kept with it to the end but wished I hadn't. Normally I'm a fan of Ramsay Campbell's work but I didnt enjoy this one at all.